When I think about creativity and problem solving, military service is not the first thing I envision. For many good reasons, following orders efficiently is an essential part of military training. And yet, there are also few places where good problem solving is more important. So today, as we think about veterans, I’m thinking about Dean Rockwell. When I met Dean, he was in his 90’s, receiving an alumni award from the College of Education of Eastern Michigan University. 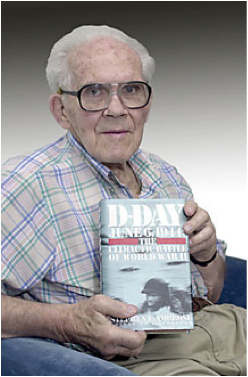 Dean had done many things over the course of his long life, including a long career as a teacher and coach, but he is best known for his actions as a young lieutenant as part of the D-Day invasion. Rockwell was group commander of 12 LCTs (Landing Craft Tanks) during the invasion. 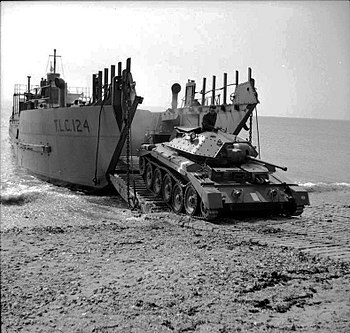 LCTs were amphibious crafts designed to bring tanks near the shore, where they could be released and maneuvered through the water toward the beach. As the LCTs neared the shores of Normandy, unseasonably rough seas made it clear to Rockwell that releasing the tanks at the planned location was going to be disastrous. Instead, he broke radio silence to radio an Army captain with the warning. This allowed the last-minute decision to bring the LCTs closer to the beach, saving thousands of lives. Author Stephen Ambrose in his book, D-Day, called the decision, “perhaps the single most important command decision of any junior officer on D-Day.” Rockwell was proud of that quotation. I’ve been impressed with Rockwell’s courage—and his long lifetime of service—since I met him. But as I’ve thought about it, I’ve come to admire the role that flexible problem solving played in his contributions. Breaking radio silence in the midst of a major military maneuver was not a small risk. But sometimes being a flexible thinker requires following your instincts where others might not, being brave enough to do something risky, and having the courage to follow through when we feel under attack. For most of us, fortunately, the attacks are more likely to be virtual than real, but today I’m grateful for all those whose courage and problem solving have kept–and continue to keep us–safe. Thanks, vets.